As a parent knowing what my children are watching and monitoring their screen time is very important to me. 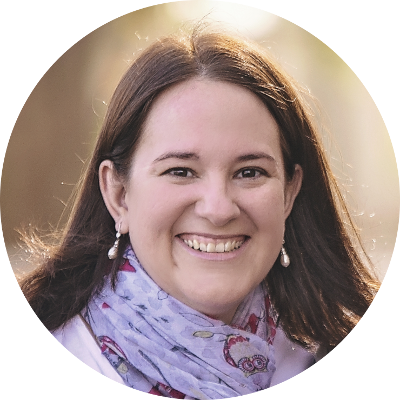 As a gamer parent (and when my kiddies are old enough to play games alone) it will be essential for me to know what games my children may be playing and for how long they are playing them. I remember the days when Amy was a newborn and she used to sleep for hours on my chest while my husband and I enjoyed racing the clock in Pikmin 3 or solving puzzles in Captain Toad: Treasure Tracker. 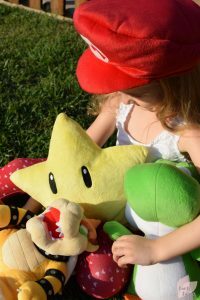 Now my three year old daughter excitedly watches us play Mario Kart 8, can name most residents of the Mushroom Kingdom, and argues her case for being able to snuggle with my special gaming plushes, while my Mario and Luigi gaming figurines now regularly re-enact rescuing Princess Peach in real life on top of her block castles. Ah, the life of a child born to two gaming parents is always far from being dull! 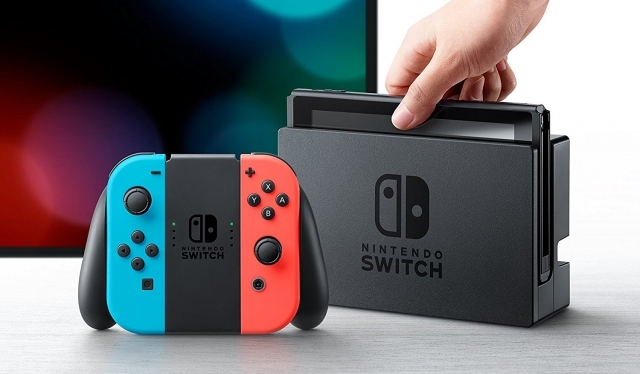 The Nintendo Switch console has a great line-up of titles that are a wonderful introduction to gaming for children, including Mario Kart 8 Deluxe, Snake Pass and LEGO City Undercover. There is a good range of games for different age groups too, so while younger children can enjoy playing the abovementioned games together with their parents, older children can also dig in to titles like The Legend of Zelda: Breath of the Wild and Arms. There are also plenty of great titles on the horizon, including Super Mario Odyssey as well as new Yoshi and Kirby titles too. The whole family can enjoy playing the Switch together, with a number of titles featuring multiplayer options where you and the kids can compete or play co-operatively. If you’re heading away on holiday the kids can even enjoy some gaming time on the road – the two Joy-Con controllers slide out of the grip and slot into either side of the Switch console, making it a portable gaming device. This is also handy if you want to get some gaming time in while the kids are watching their shows on your family TV. 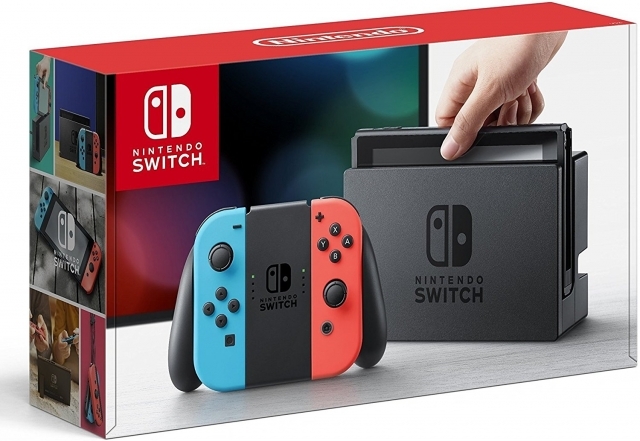 The Switch features a great parental control option that allows you to monitor what games your children are playing and for how long they are playing them. You can download the Nintendo Switch Parental Controls App from either the Play Store or the Google Store. It’s a free app that is easy to set up and then sync to your console and Nintendo account. 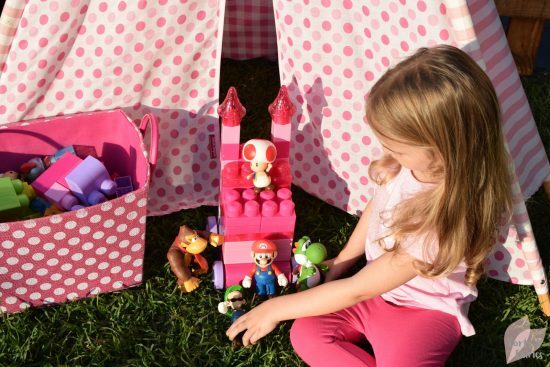 The app allows you to supervise your child’s gaming experience by setting a daily play time limit for their gaming. You can choose anything from between 15 minutes to an hour or more, and a message will pop up on the screen when the limit is reached. You can also set a time limit for each day of the week, so for example children could be allocated more gaming time on the weekends. There is even a bedtime alarm option so you can help track how late they play. And if you want to bring out the big guns you can suspend the software if the play time limits aren’t adhered to, which can only be lifted using the Parental Controls PIN (although my husband didn’t appreciate me testing this function during his gaming time!). The app also gives you the option to set restrictions based on age ratings of games and whether the player is able to communicate with others online and post screenshots on social networks. You can choose from different categories, for instance the young child option will restrict the software rating as well as online abilities, while the teen option limits software but not online interactions, and the custom option allows you to customise your settings. The app can also be used to restrict eShop purchases for child accounts, so you won’t get any surprise credit card bills or see any new games pop up on the console that you didn’t agree to. 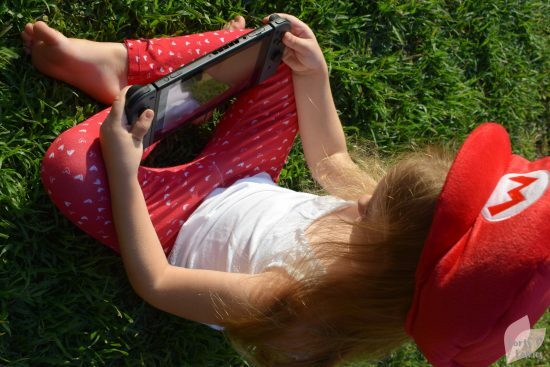 Once you’ve set up the app you can continue to monitor your child’s gaming habits. 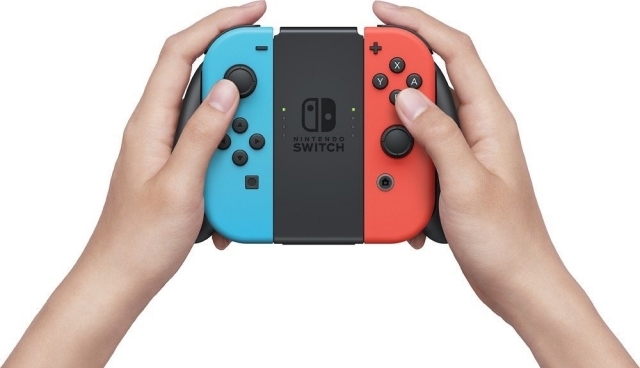 It allows you to track what games they played each day and for how long, as well as see the monthly summary of Nintendo Switch play activity in your house. It’s a neat feature for any gamer to be honest, not just to check up on your kids! 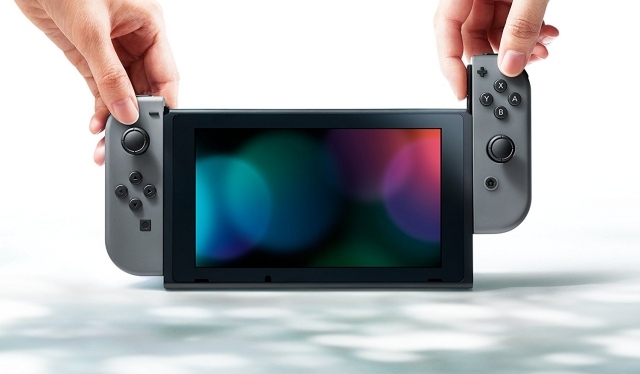 The Nintendo Switch offers a selection of great games, the option of portability, as well as parental controls that are easy to set up and control from a nifty smart device app. If you don’t yet have a gaming console in your home the Nintendo Switch is well worth taking a look at, and if you already have a gaming console it’s also worth looking at making the Switch. The console is available at a recommended retail price of R5299 from retail stores and online retailers. It is available in grey or you can choose to have the Joy-Con controllers in neon blue and neon red. 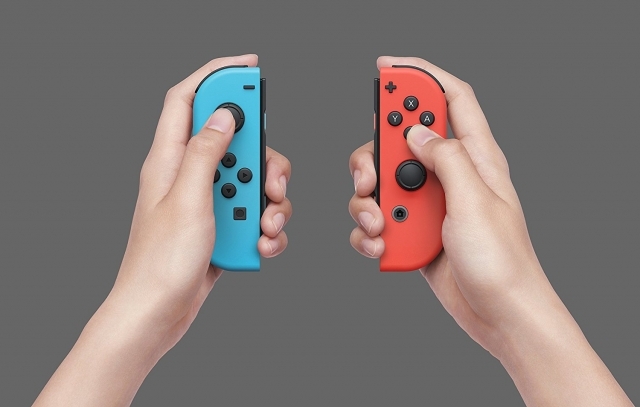 You can also buy additional Joy-Con controllers (either individually or as a pair) as well as the Nintendo Switch Pro Controller.